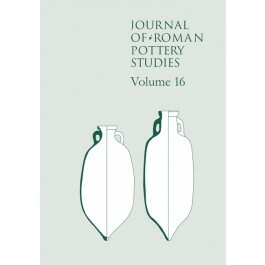 The Journal of Roman Pottery Studies continues to present a cross-section of recent research not just from the UK but also Europe. Volume 16 carries papers on a variety of subjects from Britain and the Continent, ranging from papers dealing with production sites to those looking at the distribution of types. There are case studies on kiln vessels from Essex, pottery production in Roman Cologne, excavations at Toulouse, as well as an examination of transport routes of samian ware to Britain. Also included are an editorial, obituaries and book reviews.